In 2012 Thessaloniki joined the Open House family and started organizing an event that will celebrate the city’s architecture and design. Open House is a simple but powerful concept: showcasing outstanding architecture for all to experience, completely for free. Open House initiatives invite everyone to explore and understand the value of a well-designed built environment. The Open House event started in London in 1992, gaining in the past 20 years a lot of appreciation and support. Today 21 cities are members of the Open House Worldwide family and host annually this event, including New York, Dublin, Tel Aviv, Jerusalem, Helsinki, Melbourne, Barcelona, Chicago, Rome, Lisbon etc. The first Open House event in Greece is taking place on 24th and 25th of November in Thessaloniki. Selected architectural sites will be open to the public during this weekend. The event is organised by the non-governmental and non-profit organisation Open House Greece, founded in 2012. Open House Thessaloniki aspires to expose the architectural treasures of this dynamic city, and make architecture accessible to all. Its aim is to contribute to the deeper understanding of urban design and public space, and enable all citizens and visitors to explore and understand the value of a well-designed built environment. Open House Thessaloniki from senselens on Vimeo. 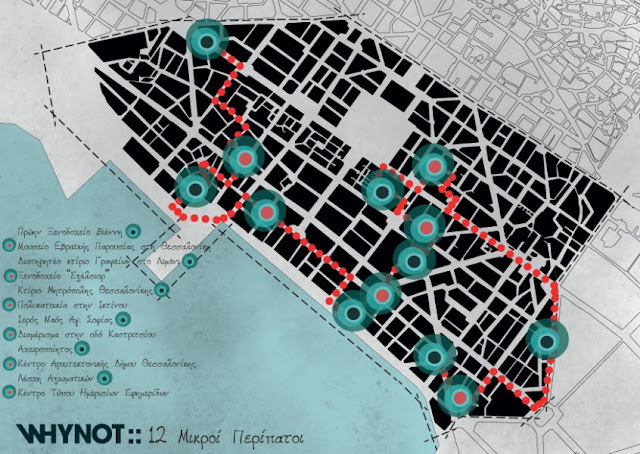 The visitors who will walk around the center of the city on 24 & 25 of November will meet the colored boxes that WHYNOT designed as a parallel project for Open House Thessaloniki, in order to mark the buildings that take part in Open House Thessaloniki event. Inside the first 12 boxes you will find a map with information about the buildings (address and visiting hours) and about the way to reach the next spot. A surprise is waiting for you inside the 13th box! 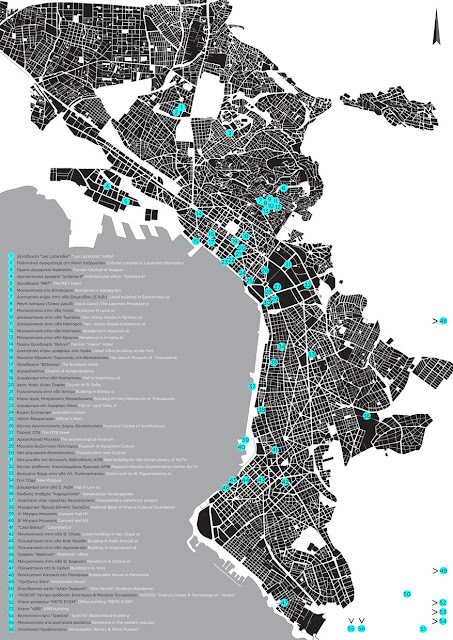 Above is the map of Thessaloniki showing the buildings included in the program.